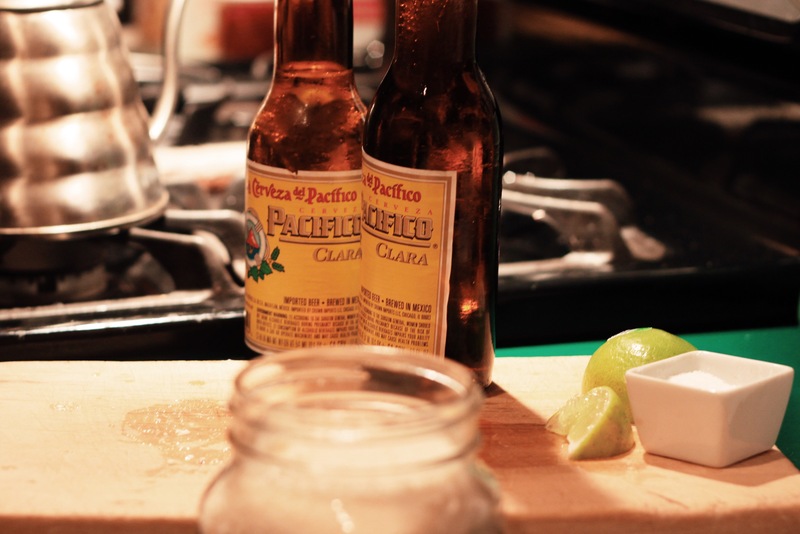 Authentic mexican street tacos are one of those foods that you don’t mess with, and you should probably just leave to the professionals. (mexican grandmas who’ve made these for years). My first time trying one was in an older Chicago mexican neighborhood, and there were three or four little food carts scattered around the park selling tacos, esquites, and fresh fruit. The ladies prepared the food in their kitchens at home, and their husbands grilled it in the park on the weekends and oh man, it smelled delicious. They use a big flat metal grill and empty giant bags of steak on them. There are freezer bags of diced onions and cilantro to put on top of your taco, and that’s it. That’s all there is, and all you need. 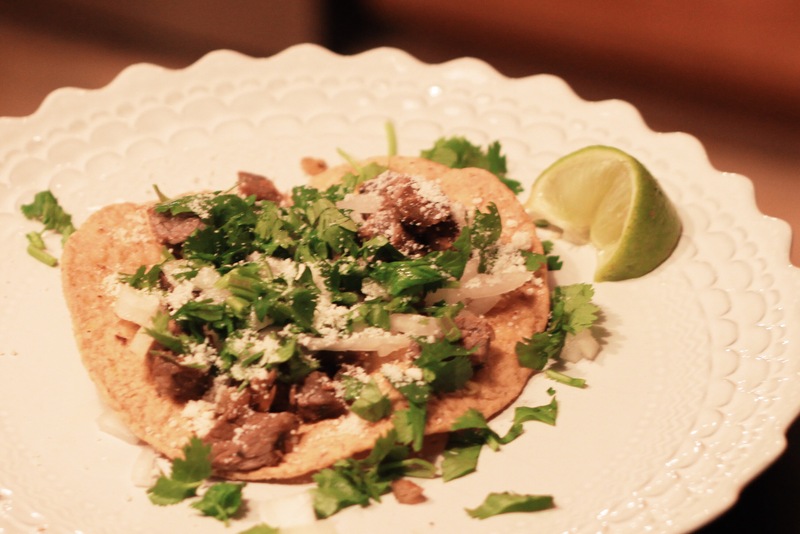 I crave these tacos, so I did a little googling and found a recipe that seemed pretty close. Nobody gives measurements, so you just add however much you think looks right. I’ve made these a few times without measuring and they always turn out great. Marinate your steak in a mix of everything above, for about 8 hours. I usually prepare it in the morning before work, then grill it that night. 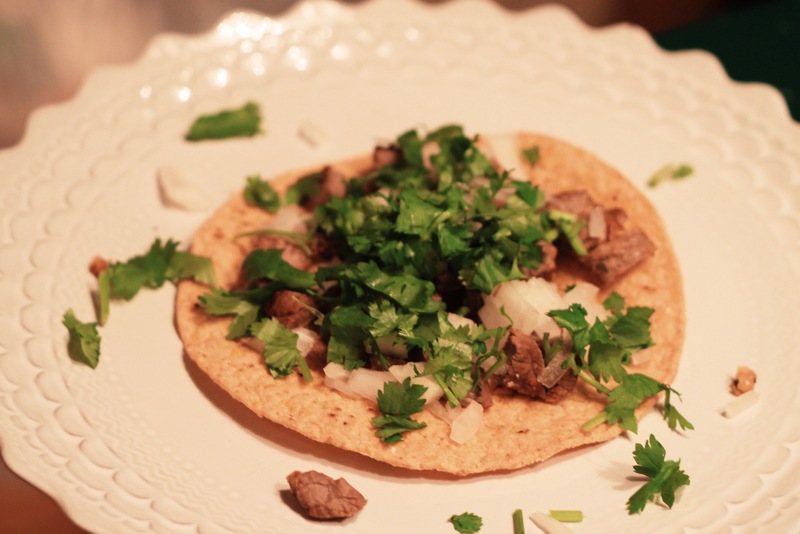 Once your steak is cooked, chop it up really tiny, throw it on some warm corn tortillas with onion and cilantro and you’ve got yourself a pretty legit mexican street taco. 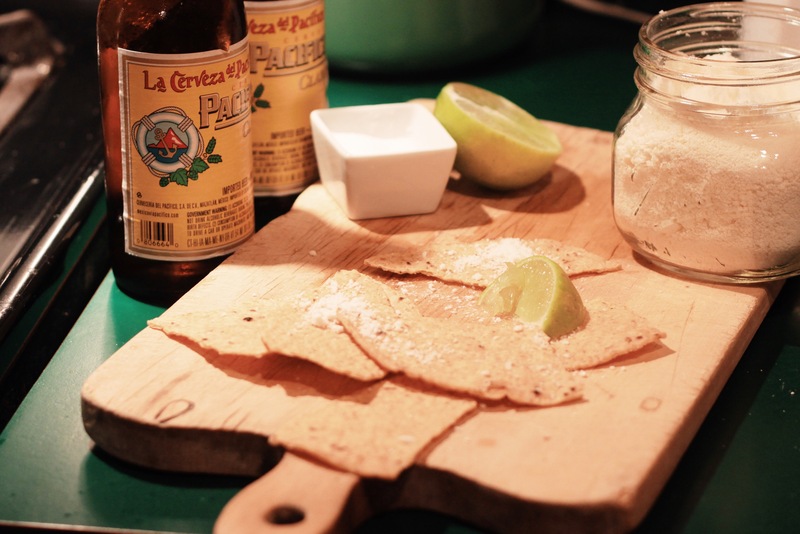 Sometimes we sprinkle cotija and lime on top, but hey, up to you.